25 mixed colour flower arrangement with transparent glass vase. In this arrangement, different flowers such as lilly, sunflower, roses, orchid of different colours are used. 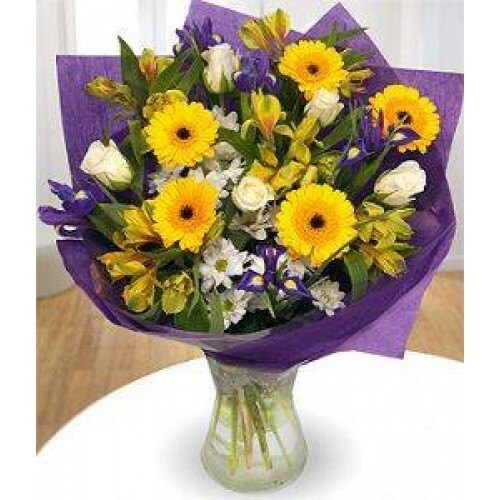 Flowers are arranged in transparent glass vase and decorated with colourful paper. It can be delivered within 4-5 hours across Jaipur.